(Location cited as N 870 653). 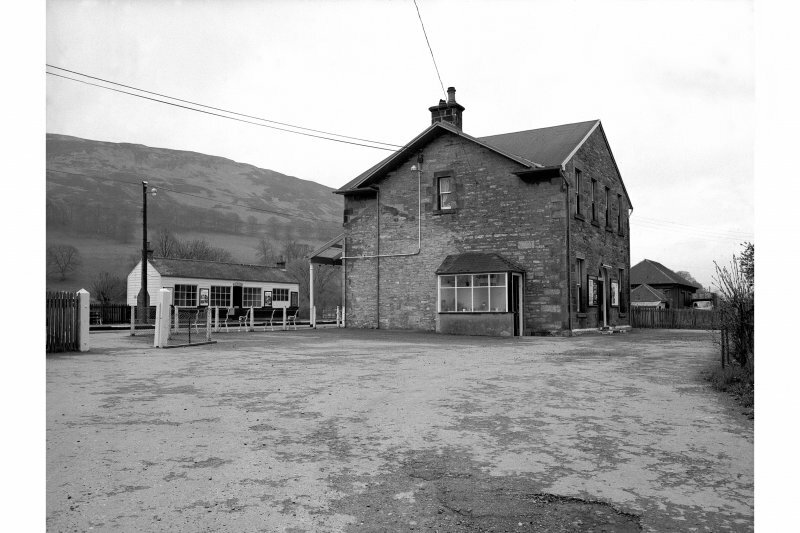 Blair Atholl Station. 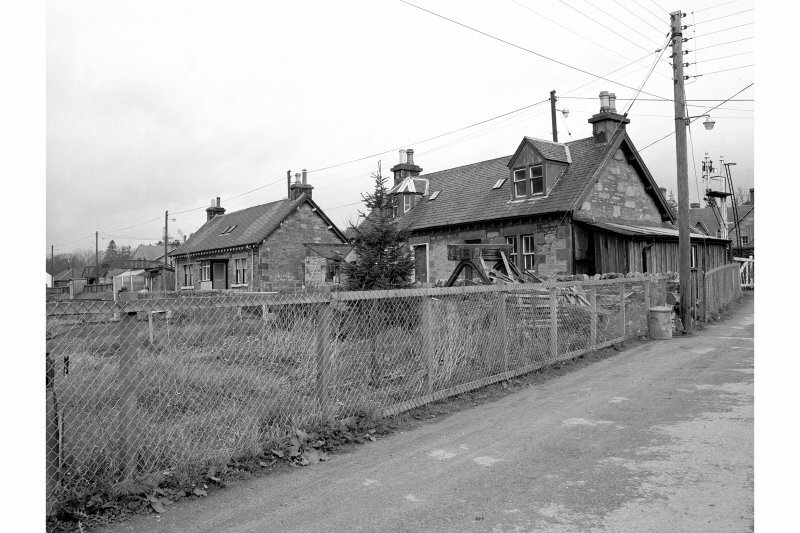 Opened 1863 by the Inverness and Perth Junction Rly. A 3-platform through station, with the main offices on the up platform. These are in a 2-storey, 3-bay rubble building dating from 1869, with a single-storey wing, incorporating a dwelling-house. There is a truncated awning. On the down island platform is a small wooden shelter. 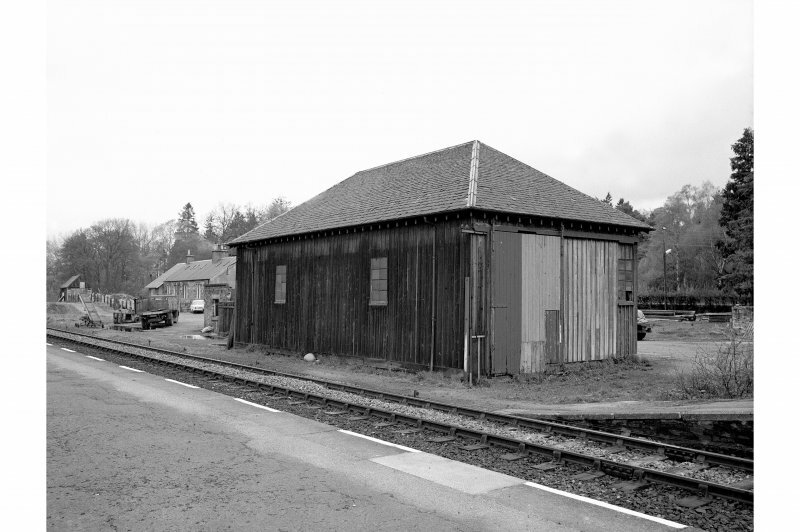 There is a wooden goods shed and a 2-road, 7-bay engine shed with a roof-ridge ventilator. 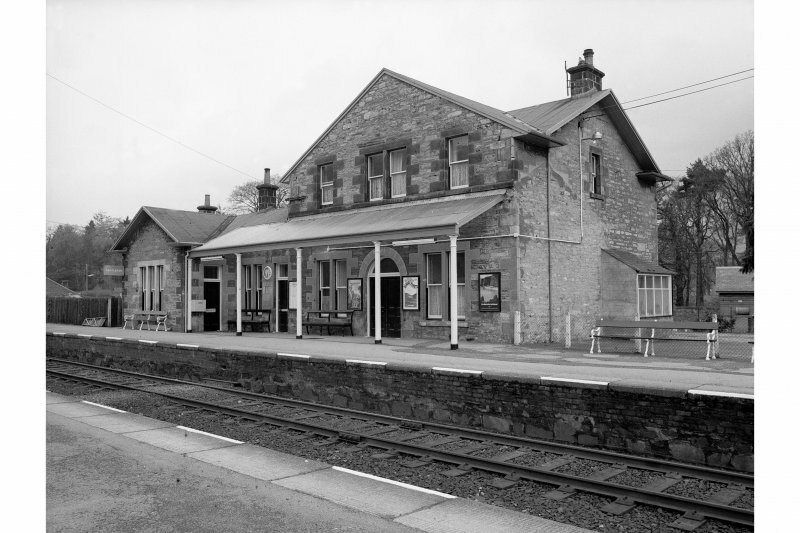 This intermediate station on the Perth (Stanley Junction) - Inverness main line of the former Highland Rly was opened (as Blair Athole station) by the Inverness and Perth Junction Rly on 9 September 1863. 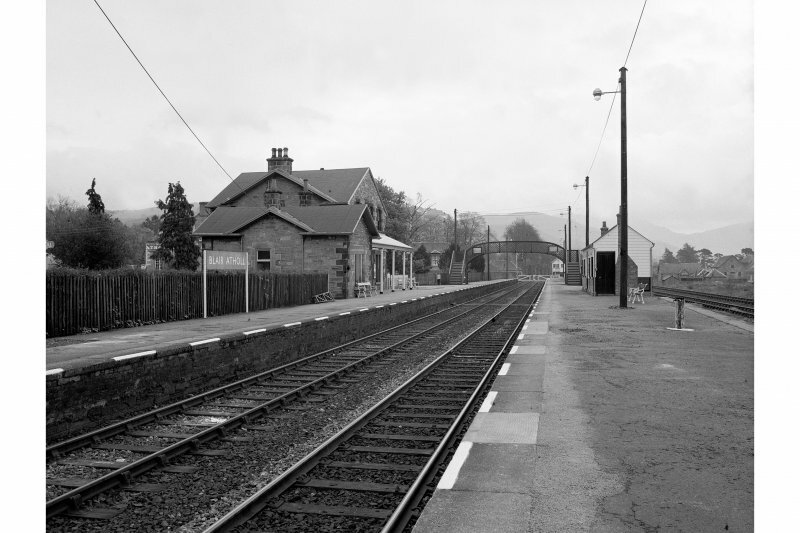 It was renamed Blair Atholl station on 7 September 1893, and remains in regular use by passenger traffic.